Regardless of the accounting software you use, we’re champions of it. Learning Xero is just one choice for employees and business owners, but often we’re left wondering how it works, where to start, and it can become confusing very quickly. So we’ve picked out some videos to help you get started with the essential features of Xero. 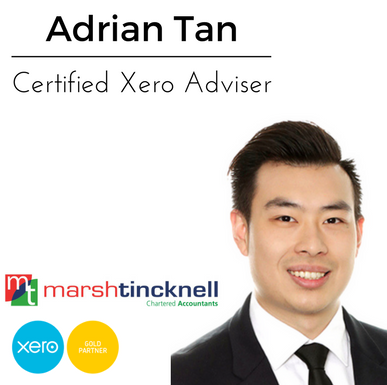 As you go through the process of learning how to use it, please feel free to call us (3422 8000) and ask for Adrian our Xero Champion (right). Overview of Xero (with payroll) from Xero on Vimeo. Getting started with Xero from Xero on Vimeo. Entering invoices and receipts side by side from Xero on Vimeo. Tracking inventory made simple with Xero from Xero on Vimeo. The Xero Dashboard – keep track of small business finances from Xero on Vimeo. Setup and connect your bank account to Xero from Xero on Vimeo. Bank reconciliation in Xero from Xero on Vimeo. Sales and online invoicing in Xero from Xero on Vimeo. Purchases in Xero from Xero on Vimeo. Payroll in Xero (Australia) from Xero on Vimeo. Expense Claims in Xero from Xero on Vimeo. Customize invoices with Xero cloud accounting from Xero on Vimeo.